Proposals for raising students credit hour fees will be discussed at an upcoming Board of Trustees meeting and the Student Government is asking students for your opinion. “I am sending you this message because I want you to be informed and to reach out to SGA with your thoughts and opinions. 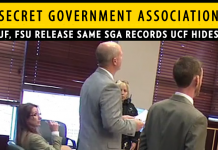 I want to hear from you,” SGA President Cortez Whatley said in an email sent to students. Whatley resides on the Board and will have a vote in the matter. – A $15.00 increase to the new student orientation fee that each new undergrad must attend. This increase will go to raising the wages of our O-Team members, as well as improving the overall quality of the orientation program. Their pay has not been increased since 2003. – A $0.59 cent increase to the Health fee in order to add additional mental health specialists, allow for rapid HIV testing (one hour as opposed to two weeks), an Advanced Registered Nurse Practitioner Psychiatrist, and to improve other areas in which our health care services are currently lacking. – A $2.00 per credit hour increase in the Capital Improvement Trust Fund Fee. This will go towards the renovation of the library (incorporating a 24-hour aspect) and to support other student driven projects. – A new $10.00 fee per semester for an Education Planning Fee for undergraduate students that will support the implementation of an enhanced advising system designed to keep students on track with their academic plan and decrease the amount of time students take to complete their degree. A website has been set up on SGA Extra where students can voice there opinion about raising the fees. 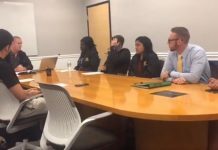 Many students have already expressed their concerns for continuing to raise student education costs, especially after UCF’s tuition was just recently raised the maximum 15% allowable by law this past year. SPEAK OUT: Where do you stand on this issue? 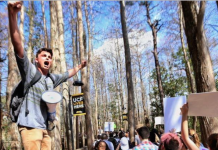 Should fees at UCF be raised?